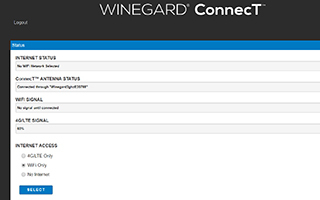 How to change the SSID and Password of your Winegard WiFi Connect. 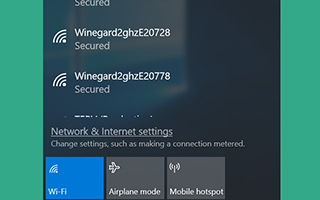 So you know how to connect to your WiFi Connect, and you know how to connect that to an Internet source. Great! But do you really have to select that funny WiFi name and type in that awkward password every time? 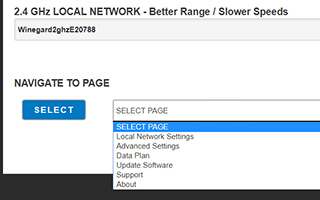 Step 2: Scroll to the bottom of the main page and select "Local Network Settings" under Navigate to Page. 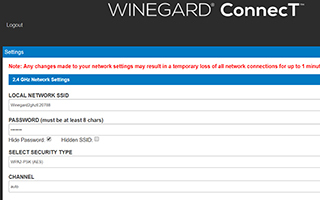 Step 3: Enter the name you would like displayed when searching for your WiFi Connect in the box labeled "Local Network SSID"
Step 4: Enter a new WiFi password in the password box. Step 5: Near the bottom of the page, you can elect to enable a guest account. This will allow others you select to access your WiFi, without giving the access to the administrator options. 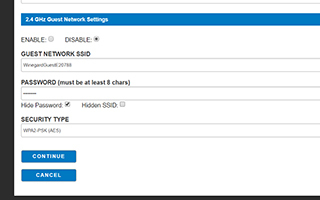 Step 6: If you've enabled the guest network, you can change the SSID and password as in step 4. Click Continue to save your changes.